I’ve just returned from the second Sharks International, a scientific conference for shark and ray researchers, which was held in South Africa. With nearly 300 researchers and conservationists from more than 38 countries in attendance, the conference was a fantastic learning and networking experience, and a huge success. In addition to countless talks focusing on cool discoveries about amazing animals and important conservation issues from all over the world, I don’t think I ate one meal at a table with fewer than 4 countries represented. Our lab, the RJ Dunlap Marine Conservation Program at the University of Miami, gave 3 scientific presentations, including my own, which was well-received and resulted in some fascinating discussions. The “social media for scientific outreach” workshop I gave had more than 50 people attend, resulting in a couple of dozen scientists newly joining twitter. 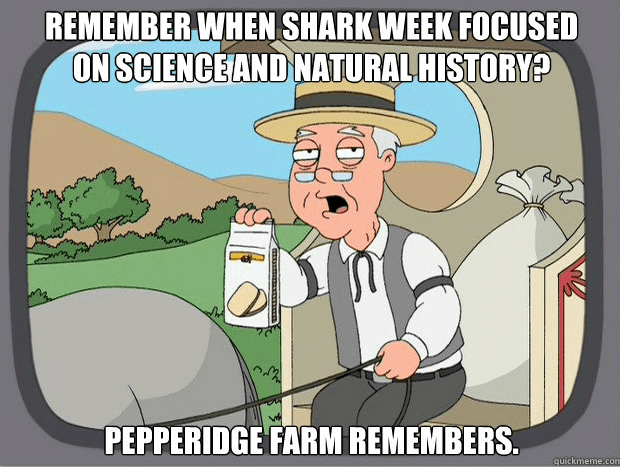 A Shark Week 2013 retrospective…with memes! While this Shark Week allowed scientists like myself to reach the public on a large scale, most of the content was…troubling. The American Elasmobranch Society is a non-profit professional organization of shark, ray, skate, and chimaera scientists. Each year, AES holds an annual conference in a different North American city where members meet and present their research. The 2013 meeting took place in Albuquerque, New Mexico from July 10-15th. The full schedule of talks (including other societies participating in the Joint Meeting of Ichthyologists and Herpetologists) can be found here. Below are selected tweets from the Gruber Award (best student presentation) talks. In recent weeks, some conservation activists have been promoting an idea that I would like to respond to as a member of the scientific community. They claim that scientists shouldn’t publish data about shark migrations, movement, or population dynamics because such data helps fishermen to find areas where there are lots of sharks and kill them. This misguided anti-science paranoia demonstrates a fundamental lack of understanding about how conservation policy works. Fishermen are neither having trouble finding sharks nor relying on the scientific community to learn where they are. In fact, this is exactly why such studies are needed. Shark migration and habitat usage data are critical to developing effective management plans. One of the ten guiding principles of the U.N. International Plan of Action for Sharks is to “determine and protect critical habitats.” As we can’t stop all shark fishing in the entire ocean*, the goal is to identify the most important habitats (i.e. nursery areas, mating aggregation locations, etc). and focus conservation efforts on those. We can’t effectively protect sharks if we don’t know where they are, when they are there, and (ideally) what they are doing there. Detailed data on population dynamics are critical for developing science-based sustainable catch limits. If managers don’t know how many sharks are in a population, they can’t accurately determine how many can be sustainably fished (and in many cases, just saying “don’t fish for them at all” is a cop-out that ignores the reality of the situation*). Finally, detailed population data is also necessary for determining which species are the most threatened. If we weren’t monitoring population sizes, we wouldn’t know that some species are in need of additional legal protections. Indeed, most strong legal protections (Endangered Species Act, CITES, certain RFMO rules including quota reductions, etc) can’t be implemented without detailed scientific data showing that the species is declining in population. Without scientists studying and publishing data on shark migration patterns and population dynamics, conservation policy would be crippled, but commercial fishing would still be doing just fine. *Yes, I am aware that some countries are Shark Sanctuaries where no commercial fishing for sharks is allowed. If fishing is prohibited in an area, it’s unclear what negative impacts the publication of tracking data could have. However, most countries are not Shark Sanctuaries, and many areas, including international waters, will never be. If your goal is “no one in the world ever fishing for sharks anywhere” rather than protecting particularly threatened species and opposing unsustainable overfishing, you’re going to be disappointed. For more information on the applications of satellite tags to shark research, please see our lab’s review paper on the subject. The deep sea is one of the largest, least explored, and most unique ecosystems on the planet. An enormous variety of weird and wonderful creatures make the deep sea their home, including many species of sharks. 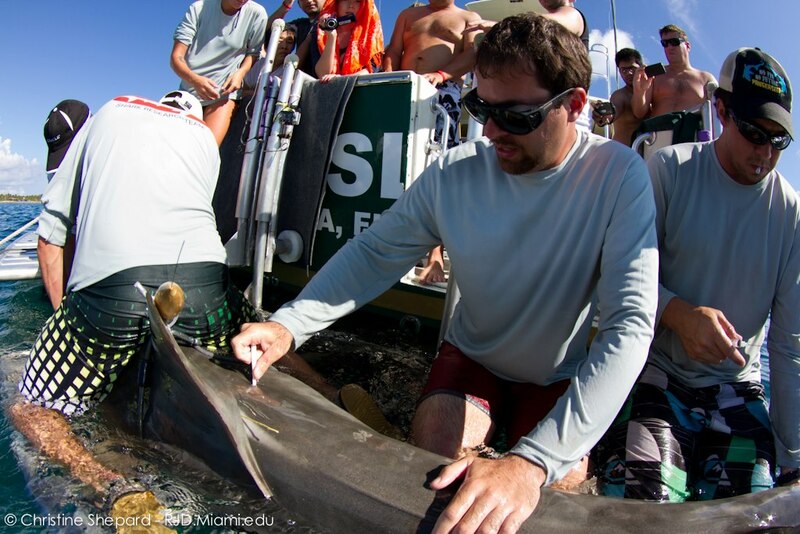 A new project, headed up by our friends at the Cape Eleuthera Institute, hopes to learn more about these sharks.